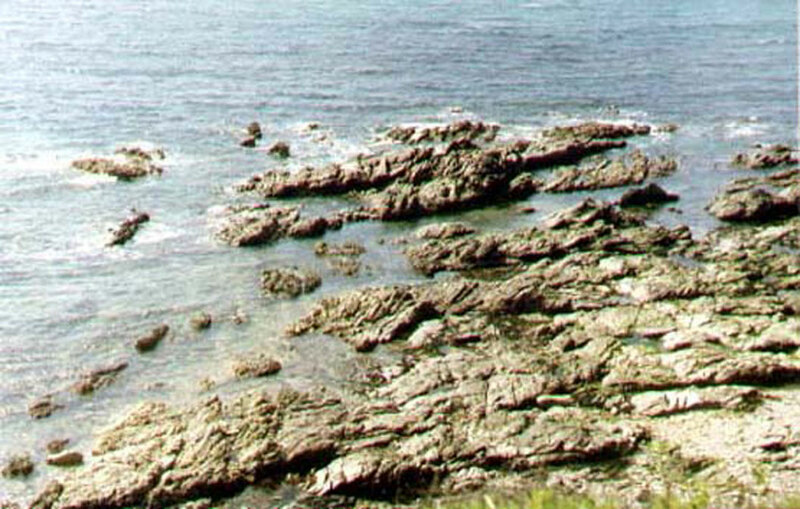 An empty fuel tanker "Willy" becomes stranded on rocks off Kingsand, near Plymouth, Devon. This is a small 3000 tonne cargo vessel with 100 tonnes of fuel oil. Leaking fuel poses a threat to a Site of Special Scientific Interest (SSSI) off the coast at Cawsand. However, the main concern is that the ship will explode if the fuel vapours are ignited. 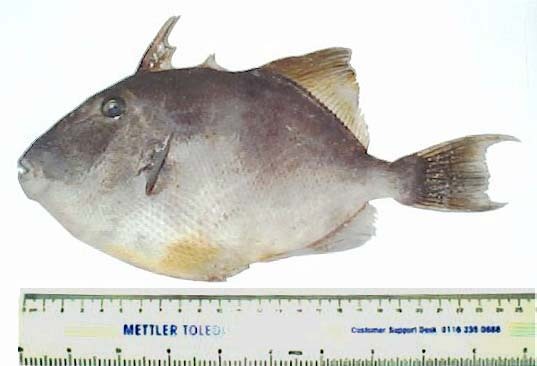 As weather turns colder with nights below zero ° C, scores of dead Triggerfish, Balistes capriscus, have been washed up dead on the Cornish coast. The carcass of a young 1.78 metre long female White-beaked Dolphin, Lagenorhynchus albirostris, was discovered on the small beach area west of Crovie, in the outer Moray Firth, north-east Scotland. The young dolphin showed signs of injury to its jaw consistent with being attacked. Although this species of dolphin is regularly seen off Stonehaven and Aberdeen, it has only been recorded once in the last five years in the outer Moray. A large 3.5 metre Pilot Whale, Globicephala melas, stranded on the Hannafore Beach at Looe, Cornwall, after first being discovered floating in the sea the day before. 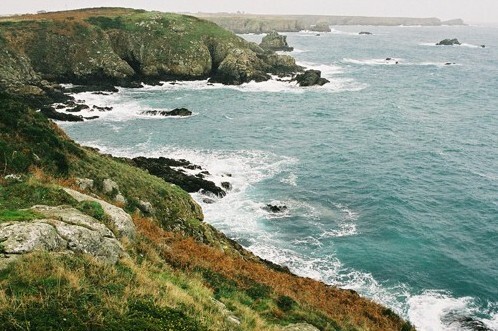 This is just one of several reports of dead whales seen around Cornwall during the month of November. A Full Moon and spring tides, the second Full Moon in the month is known as a Blue Moon. This URL access was faulty during the last month, but it has now been restored. This page can be used by members to report finds, ask questions, queries over identification, concerns about environmental issues etc. 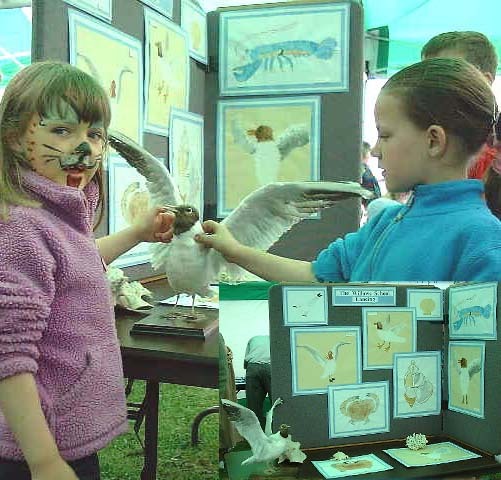 This eForum is participated in by members of many groups studying the marine environment. 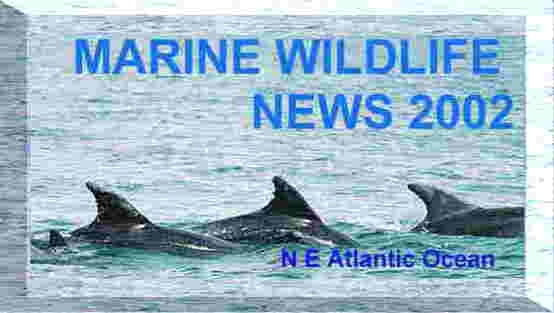 Go to menu bar above and click on Database and then on Marine Life Organisations to find a list of web sites. Photographs and illustrations are best uploaded to the Document Vault and should not exceed 75K in size (*.JPG). Grey Seal, Halichoerus grypus, feeding close to the shore at this site. 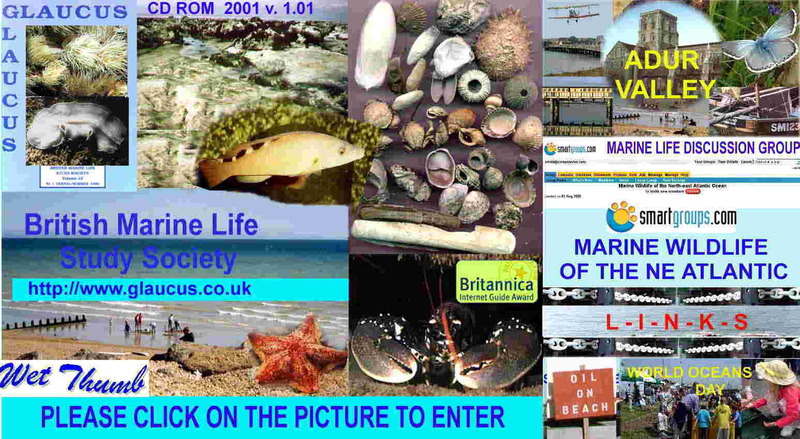 British Marine Life Study Society membership information will be sent out with the Shorewatch newsletter in January 2002. If you are unable to view this file with all its images through your EMail software, one way around this is to go to your directory for incoming email ,where this file should be stored, and open the file Torped67.html in your favourite browser. Microsoft Internet Explorer 4 and above is recommended.